The genome editing technique known as CRISPR-Cas9 (1) has taken the biology world by storm. 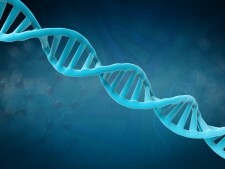 Initially it was primarily used to knock-out (literally, to make inoperative) specific genes, however, scientists have now figured out how to use the system to knock-in genes as well as edit the epigenome. These features, along with the technique’s relative simplicity and ease of use, have led to CRISPR being adapted into a wide variety of fields such as bio-agriculture. If you aren’t yet familiar with the term, you soon will be. CRISPR-Cas9 engineered crops are very close to being on the market. Yet with all of the fear and doubt promoted about biology among anti-science groups, regulators will have to determine if they are or are not a “GMO” (genetically modified organism), a question that is harder to answer than many may realize. A study from earlier this year described how the Agrobacterium naturally altered the genome of sweet potatoes, making them edible, some 8,000 years ago. The Agrobacterium is actually so efficient at altering the genome of an organism that scientists have used it in creating many GMOs and now scientists can use it to deliver the CRISPR-Cas9 system into cells as well. However, using this method automatically requires the legal GMO designation in America, because the Cas9 gene and fragments of the Agrobacterium’s genome can end up in the final crop. But there are ways to get around this and researchers in Korea are working hard at using CRISPR-Cas9 without incurring the manufactured stigma created by environmentalists. The current way to use CRISPR-Cas9 is by coopting the Agrobacterium (or another vector) to introduce the genes for CRISPR-Cas9 and then the cell’s own machinery is used to assemble the guide RNA and the Cas9 protein. However, if the fully assembled CRISPR-Cas9 system is introduced into the cell without using the target cell’s genome or machinery the crop would fall into a regulatory gray area. This is a legal loophole but since the definition of GMO is legal and not scientific it makes sense. Using this mechanism does not necessary preclude the GMO designation. If the CRISPR-Cas9 works correctly (and usually does) the organism’s genome will be altered in a targeted way. But by using this pre-assembly technique the researchers eliminate the possibility of “how they made it” from influencing the GMO designation and the weight of the decision on the GMO designation will depend on the “what” (i.e. the intended genetic modification) they made. This would not be the first time that genetically modified crops had circumvented the GMO designation by using alternative means. Some examples of this include blue grass made with a gene gun and plums that were the offspring of GMOs. That doesn’t mean opponents of science will stop trying to confuse the issue to create fear and doubt. A clear cut example is Bt corn, which gets a gene for a bacterial insecticide. Activists are against that even as they spray toxic Bt pesticides on organic food. Other wrinkles: What if CRISPR-Cas9 is used to delete a gene, which makes the resulting plant resistant to a deadly fungus? Or if the genome is altered to introduce ancestral traits that have been lost due to the alterations from the randomness of artificial selection? It’s easy to see how examples like this do not fit the traditional or popular view of what a GMO is, and even more reason for policy-makers to use an evidence-basis for decision-making, and not cater to press releases. What really troubles me is that researchers are now basing their projects on loopholes in regulations instead of pursuing science or a hypothesis. They are excelling at this, but you have to wonder about the extent to which scientific thought is being hindered because of an arbitrary definition that is based on fear and not science. (2) A virus plays an interesting role in gene swapping between wasps and butterflies.